Pictured LA based woman, India Ali who was assaulted and robbed by her Instagram date, James Baker (inset). India Ali a Los Angeles woman has braved to tell of being assaulted and robbed at the hands of an instagram date. The perils of social media dating. 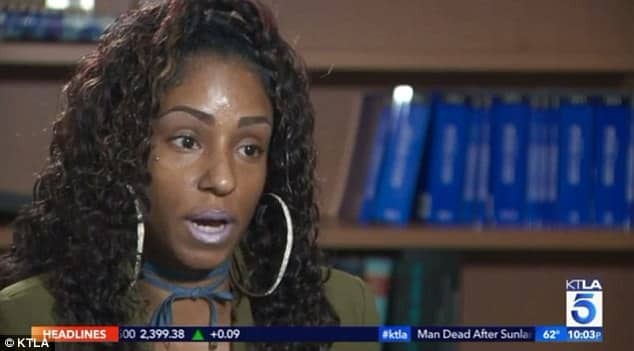 India Ali a 32 year old based Los Angeles area model has told of how she came to be assaulted and robbed by a man she met on Instagram in the hopes that her travails will serve as a cautionary tale to other women. A report via KTLA tells how Ali first met James Baker, 27, through the popular social media photo app before eventually feeling comfortable enough to set up a date meeting in real life. Explained the woman who soon found herself unwittingly targeted by the predator, ‘He didn’t really look like a creep from his pictures’. Adding, ‘He looked like he had it going on’. The pair met up for their first date in July. They went out drinking, as evidenced by several videos that Baker had posted of the two of them at a restaurant. In the clips, Ali appears to be less than sober, compared to Baker. Although Baker posted videos showing that it happened, Ali said she had no memory of leaving the restaurant or going back to his room at the Westin Hotel near Los Angeles International Airport. The next morning, Ali woke up in the hotel room, alone. 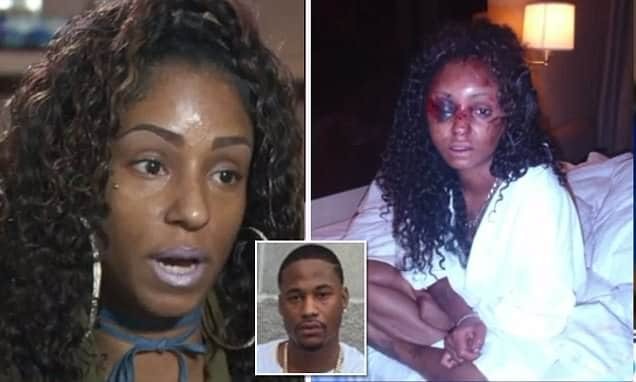 Pictured LA based model, India Ali after the beating at the hands of her Instagram date. When she looked at herself in the mirror, she saw the beat marks along her face. ‘Oh my God. I can’t believe that happened. What if they come back and kill me?’ Ali recalled. Baker had apparently taken her cellphone and car keys with him when he left the room, so Ali called 911 on the hotel phone. Ali was treated for significant head injuries at the Ronald Reagan UCLA Medical Center. 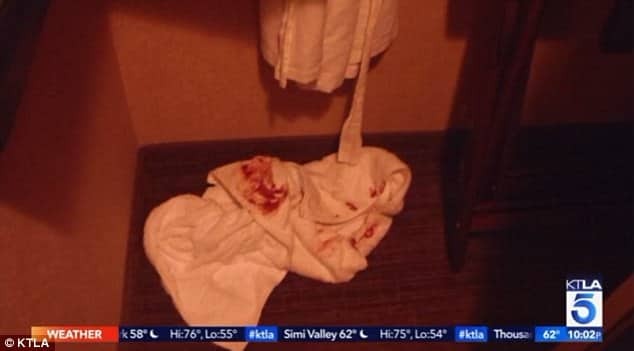 ‘She had been punched in the head so badly that it had caused a swelling in the brain,’ Los Angeles County Deputy District Attorney David Berger told KTLA. Pictured, India Ali’s attacker, James Baker. Investigators tracked Baker down to the Courtyard Los Angeles LAX in nearby El Segundo, California by using the Find my iPhone app installed on Ali’s cellphone. Police also found Ali’s car at the Courtyard hotel — surveillance video from the Westin showed that after Baker left Ali, he’d driven her car away from the Westin at about 2am. Baker was arrested by the Los Angeles Police Department’s Pacific Division on July 21. 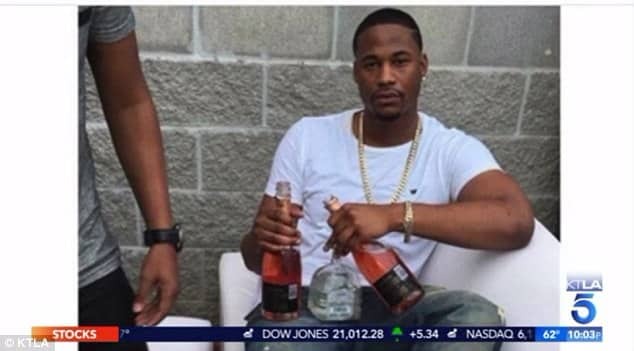 After his arrest, Berger said investigators discovered that Baker had out of state convictions and was out on bail for charges related to alleged use of fake credit cards. Last month, on April 14, Baker was found guilty of felony assault, auto theft and use of forged credit cards noted fox61.com. He is currently being held at the downtown LA Men’s Central Jail, awaiting a sentencing hearing scheduled for June 5. Or perhaps better put, there are a lot of men who don’t value women’s lives and are more than ready to exploit and take advantage of them….with the advent of social media and online dating sites. India Ali seeking to warn women of the increasing spate of sexual assault with the advent of social media and online dating sites. India Ali woke up to find she’s been savagely beaten and left bloodied.